Wentworth Club in Surrey is one of the most famous golf clubs in the UK, and it was a real treat to be able to film at such a stunning venue. Starting the day at Macdonald Berystede Hotel & Spa in Ascot, we then drove to the magnificent St Michael and All Angels Church for Samara and Kudzai’s wonderful ceremony, and finally to Wentworth Club for the grand reception. Three amazing locations, one gorgeous couple. What a perfect day! It’s not easy to stand up and give a great speech to a room full of your friends and family. To do so without a script, and to deliver such powerful words with such eloquence, that is a rare skill and as you can see, it adds so much impact and emotion to the day. For our part, selecting only a small portion of the speeches to use in this film was a real challenge, as there were so many great stories, jokes and heartfelt words of love to choose from. Throughout the day, all through the ceremony, the speeches and the first dance, the love between Samara and Kudzai was clear as day. This is a match made in heaven and it’s obvious that the happy couple have a very bright and wonderful future together. We sincerely wish you both a lifetime of happiness and good fortune. So check out 10 fantastic British wedding photographers currently producing exceptional work. 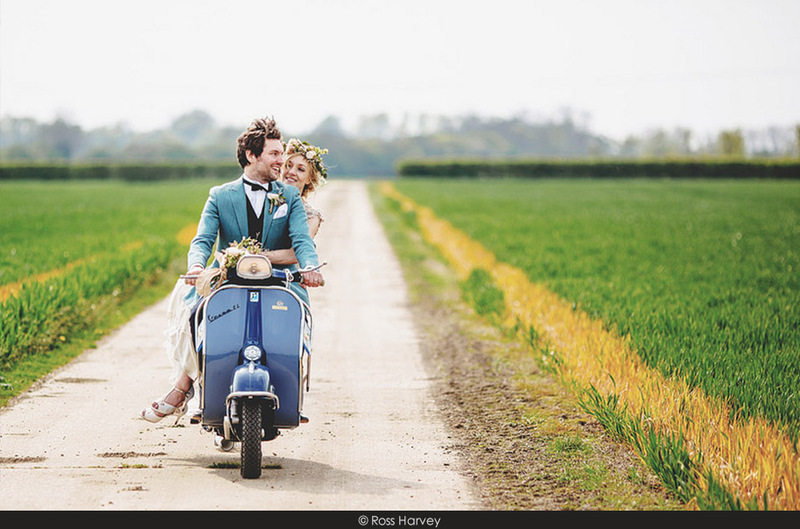 Our 2015 Top Ten UK Wedding Photographers is here! Wedding locations don’t get much more impressive than Keble College Chapel and Rhodes House at Oxford University, the perfect backdrops for a wedding film. But what made this occasion truly unique was the awesome couple and their wonderful guests. If you need any further evidence that our clients really are the coolest people on the planet, then this little wedding film should remove all doubt. We love smart, funny couples who have great taste and know how to let their hair down. Of course, the Oxford University locations were amazing – first the ceremony at Keble College Chapel then the reception at Rhodes House, but it’s the people in our films who are the stars. Amy and James are just perfect together and they have the best group of friends. Our films are driven in large part by the words spoken on the day, and in that respect we were spoiled, with amazing speeches by the groom, best man and the father of the bride. Just the right balance of humour and poignancy – well done all! The most emotional aspect of the day was the mention of James’s mother, who was there in spirit, and we paid homage to that in the title of the film. Very best wishes to a gorgeous couple, it was an honour to share the day with you both. 2015 is shaping up to be even better. To kick it off we have a new logo and a new look to the website, which we feel really reflects our work and our philosophy. We wanted something romantic, timeless, beautiful and whimsical, and we love what our designer came up with. In his words, “the continuous line represents infinity, and endless love”. So here is the new Pretty in White design, alongside the lovely Leena & Johnny! There are many elements which can make a film stand out, but Karen and David’s amazing wedding at Highclere Castle had it all. A gorgeous couple, heartfelt and deeply moving speeches, a beautiful ceremony and of course the stunning location (Highclere Castle is where Downton Abbey is filmed, and is simply breathtaking!). On top of that, we witnessed the most incredible send-off we’ve ever seen, courtesy of Aurora Fireworks. That final shot took some planning, but was well worth the effort :) Thanks so much to Aurora for helping us capture their work in all its glory. It was a genuine honour to witness the boundless love between the newlyweds, and of course we loved the opportunity to capture all the little details of the magnificent venue. Hopefully we’ll have the chance to return to this historic location soon. Even if you’re not a Downton Abbey fan, it’s impossible not to be bowled over by the unique beauty of the castle and the grounds. What a perfect backdrop for a wedding video :) Wow! Karen and David are a wonderful couple and we wish them the very best for the future. We love photographers, especially team players, and it was great to work alongside John Nassari from Indigo Images. A really nice guy who made our jobs so much easier.